Our Timing Belt Pulleys offer a positive drive through the engagement of the molded teeth in the belt with accurately spaced grooves on the pulley. The action of the belt teeth entering and leaving the pulley grooves is positive, smoother operating and more silent than other types of drives. 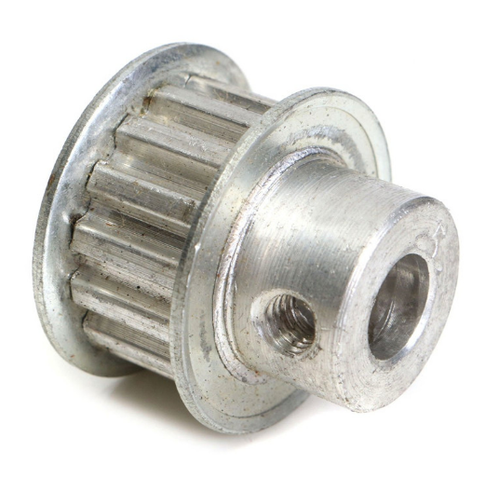 We manufacture timing pulleys from quality ferrous and non-ferrous materials such as steel and aluminum alloys material, cast iron, stainless steel and many more materials. We offer the best quality timing pulleys at very economical rates.